Fake Christmas trees have certainly come a long way since the flocked aluminium creations of the 1960s – but there’s nothing quite like the real deal to fill your home with that pine scent a candle simply can’t replicate. Besides which, heaving a dusty tree down from the attic doesn’t warm the cockles anywhere near as much a hot-chocolate-totin’ trip to the local Christmas market. Read up on the Nordic Spruce, Nordmann fir, Scots pine et al to decide whether you want to prioritise price over, say, needle retention. The only drawback to a real tree, after all, is that spiky carpet of needles come January. Do not buy a tree until you know how high your ceiling is. 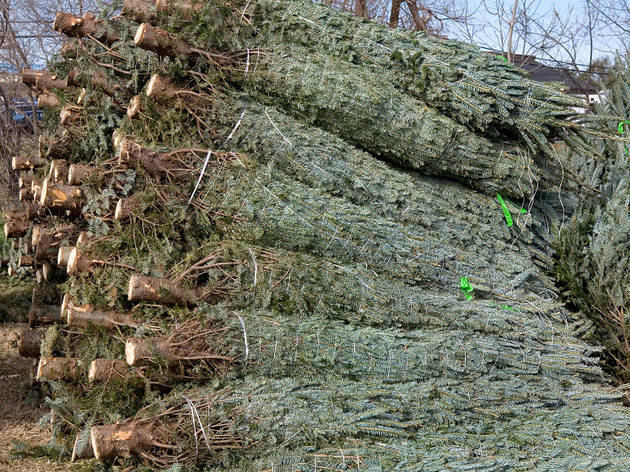 Choosing the right tree will (obviously) depend on what your home can accommodate. Bear in mind that it will likely expand threefold once that netting has been snipped off. You can always chop away unnecessary branches (although remember children under 12 should not handle chainsaws unsupervised). 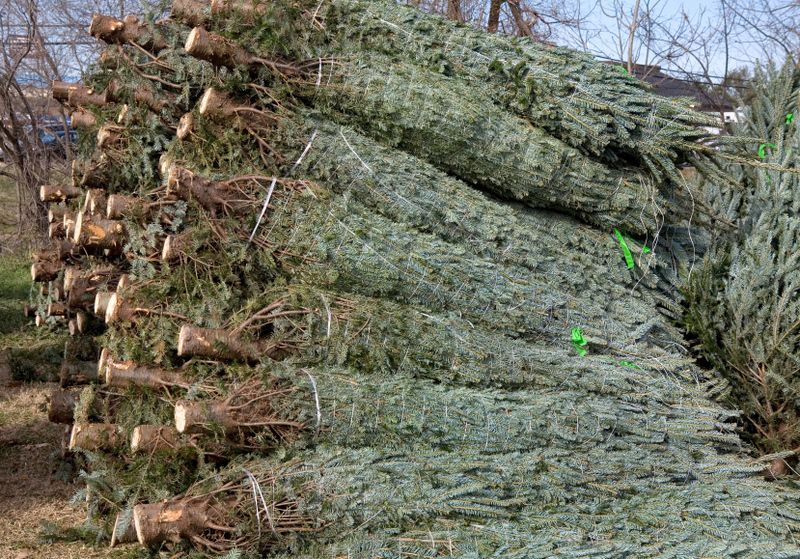 If you've not arranged a tree pick-up, your local council should offer a tree recycling service. See www.recycleforlondon.com for details. 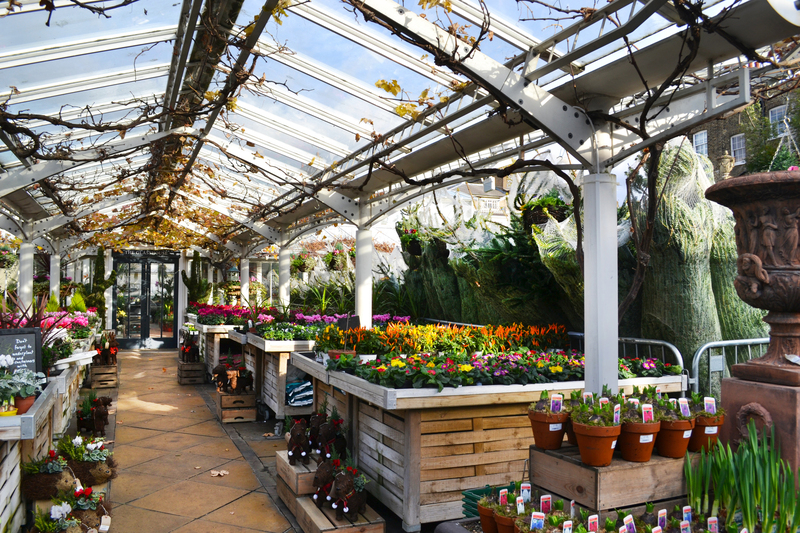 This charming garden centre in the grounds of Ally Pally gets a festive transformation come Christmas. 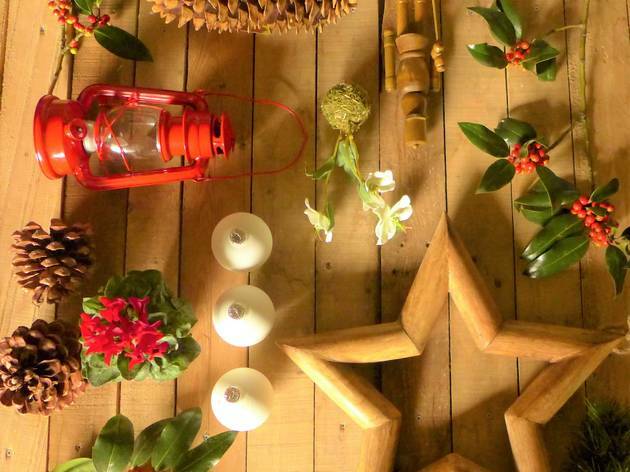 They have a dedicated Christmas shop where you can pick up everything from freshly cut and pot-grown fir trees to Christmas decorations and lights. 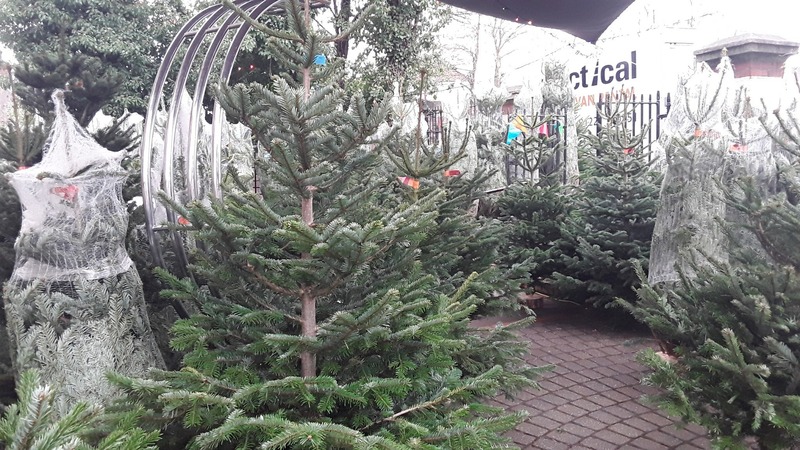 Nordman Firs, Fraser Firs, Norway Spruce and pot-grown evergreens; you’ll find them all at this cosy, independent garden centre. Knowledgeable staff will give you tips on how to avoid being left with a leafless stick come Christmas day, and help you buy tree stands and decorations. It's slap-bang in the middle of a car park, but don’t let that put you off this friendly local market. 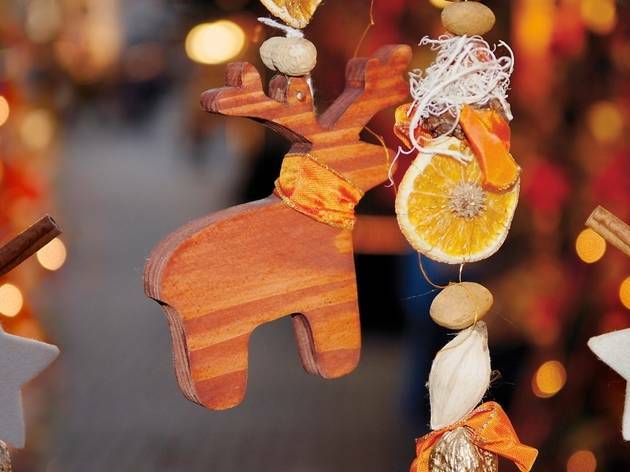 As well as stalls with lush groceries, locally made treats and top-notch street food, there are plenty of quality Christmas decorations come December. 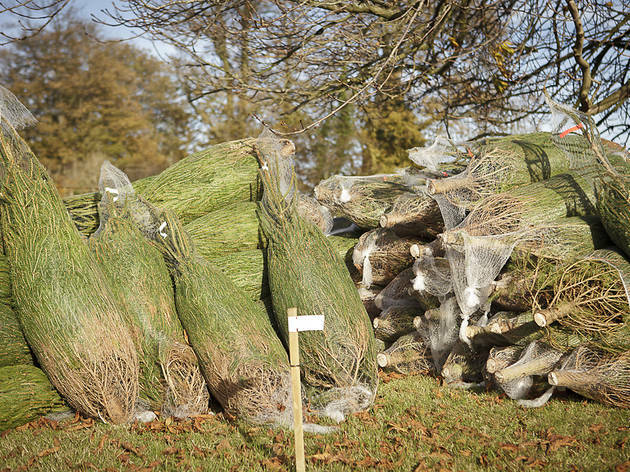 As usual, the evergreens come from Hole Park Estate in Kent which has been growing spruces for 60 years. Order a tree for collection or buy it on the spot along with festive flora and garlands. 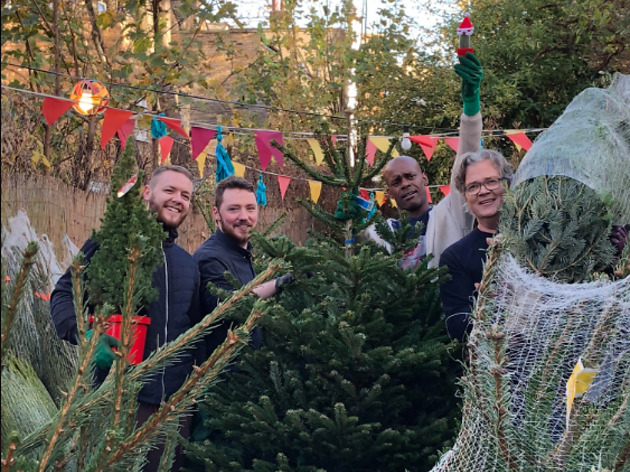 This award-winning garden centre, which employs disadvantaged Londoners, is filled with fine firs as Christmas approaches. 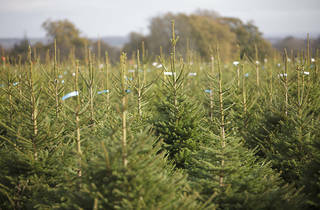 It stocks trees up to five metres tall, including traditional Norway spruce and needle-holding Nordmann and noble firs. Knowledgeable staff will help trim your tree to fit your stand. The centre also sells wreaths, holly and mistletoe to kit your house out in leafy festive splendour. 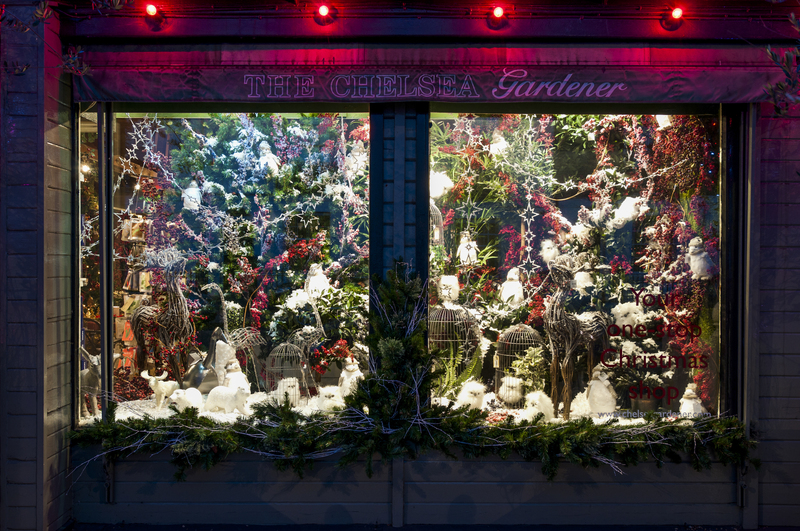 This picturesque garden centre goes all out for Christmas. 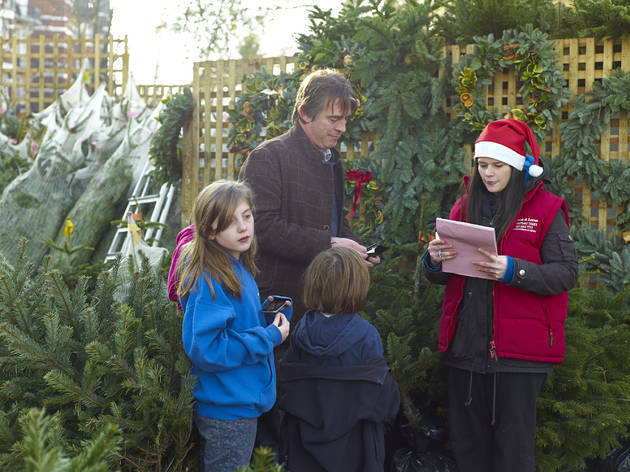 Pick up your perfect tree with advice from the charming staff and choose from a huge collection of unique festive decorations and ornaments. They’ve also got a whole bunch of gifts on offer to fill the space under your fir once it’s up. 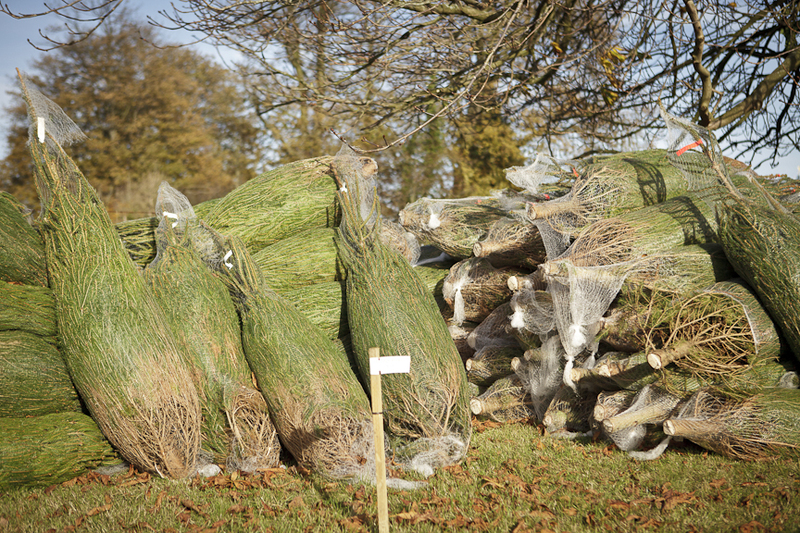 Trees of all varieties – including noble and Fraser firs as well as non-drop Nordmann – are packed into branches of The Christmas Forest. 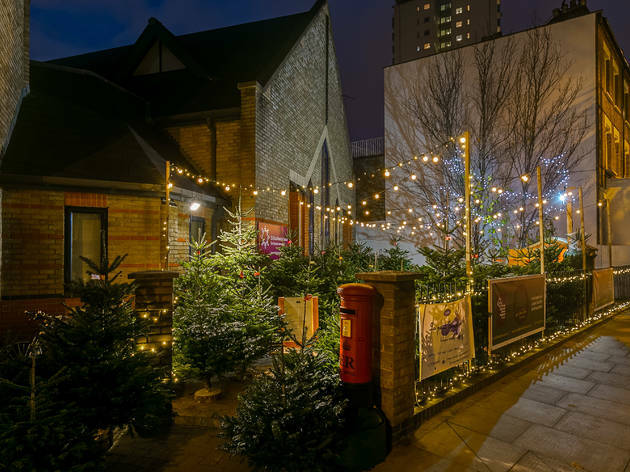 There are ten ‘forests’ dotted around the city (including Stoke Newington, Ealing and Dulwich) where you can gobble down mince pies as you browse. It’s an eco-friendly enterprise too: for every tree sold, another is planted in the drylands of Africa. 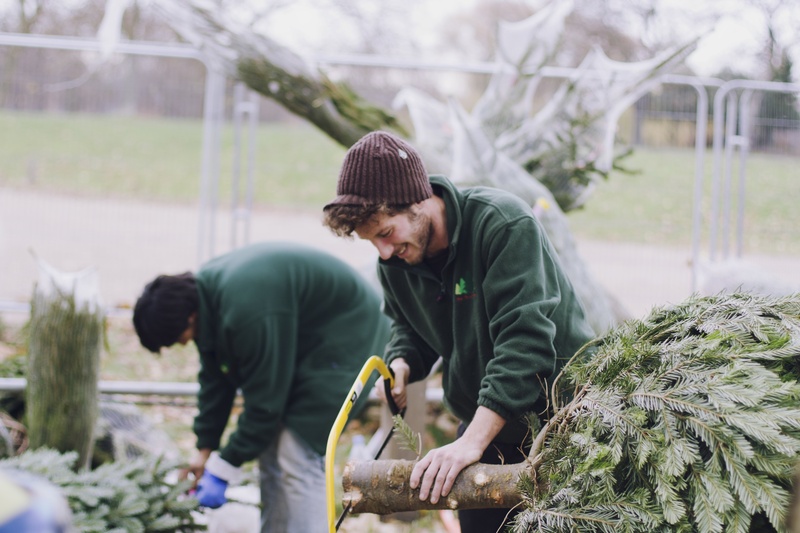 Husband and wife duo, John and Lulu, have been providing the people of south east London with Nordmann Firs since 2009. 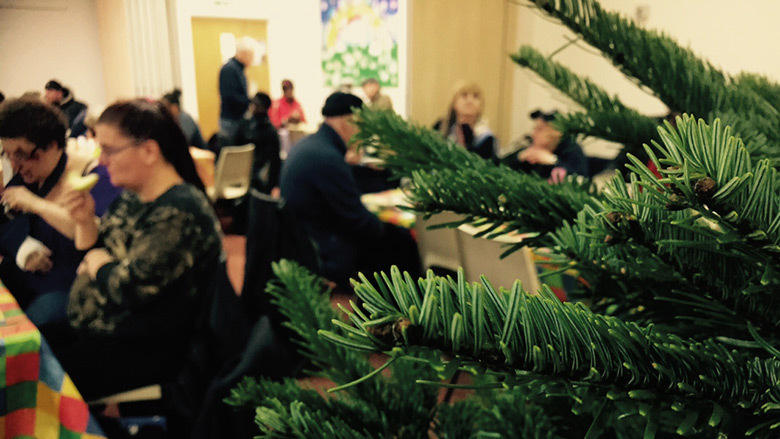 Each of their pitches are at places close to their hearts; the forecourt of Crofton Park Library is turned into a mini evergreen forest to help keep the community library open and accessible. And they’ve also set up shop at Lulu’s childhood church, St Mark’s Kennington. 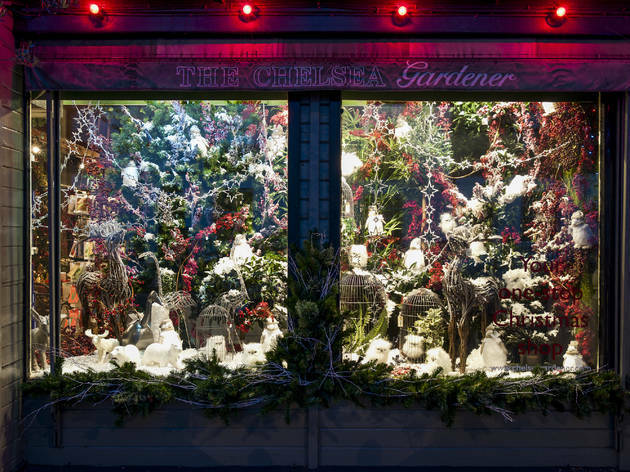 This stately nursery has been a horticulturalist’s paradise since 1851 and in that time they’ve learned how to do Christmas very well. In between their topiarised box trees and hot houses they’ve got a dedicated Christmas shop filled with sparkling decorations. 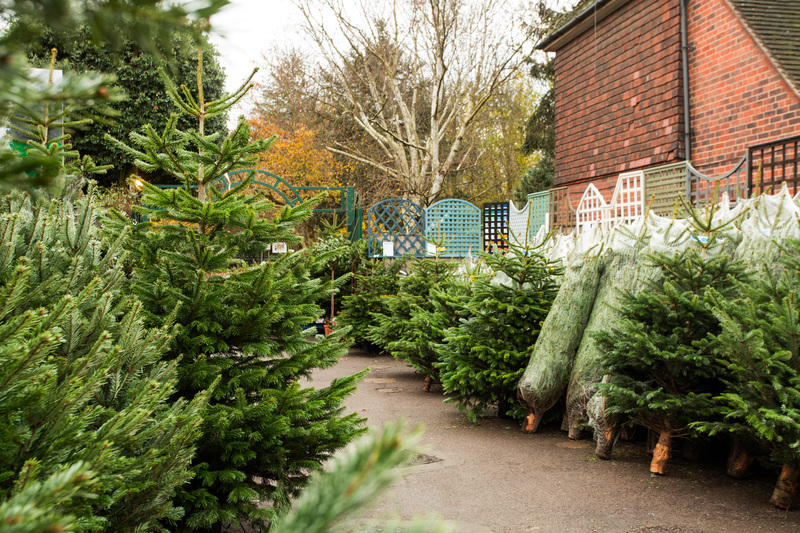 Plus, you can pick up lush Nordmann firs in sizes ranging from 2.5ft to over 10ft tall. 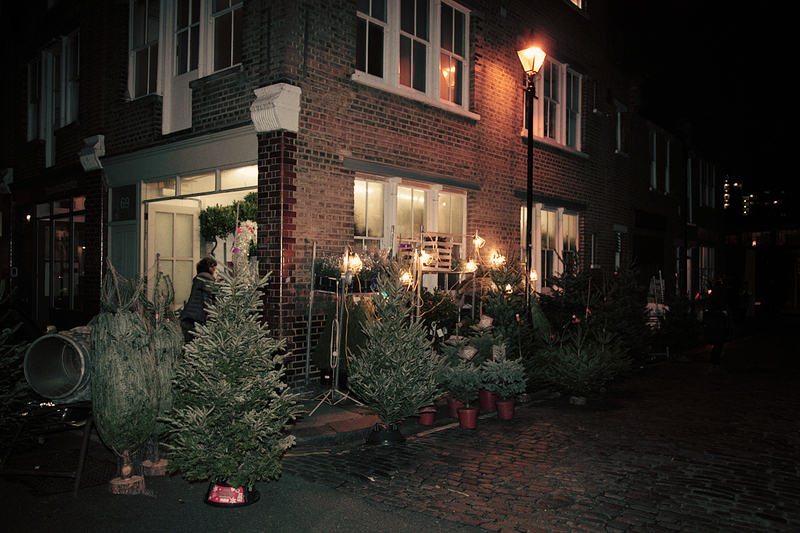 Bushy firs are joining the hordes of browsers at what must be London’s most visually appealing market. 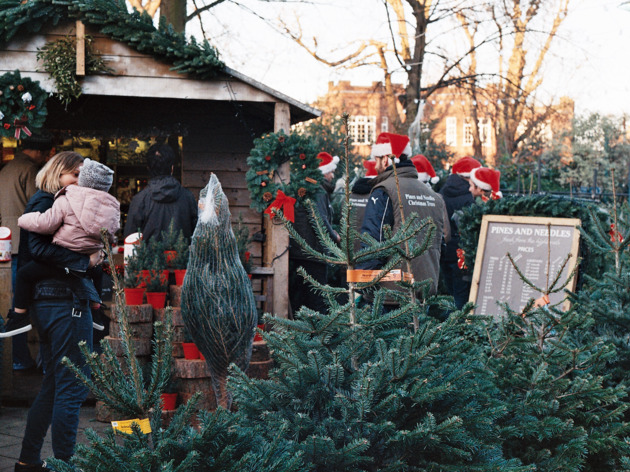 The stalls are flogging a range of evergreens and festive flora, each with its own deals and prices. Head down there on a Wednesday in the run-up to Christmas, when the independent shops lining the street stay open till 9pm and carol singers serenade shoppers. 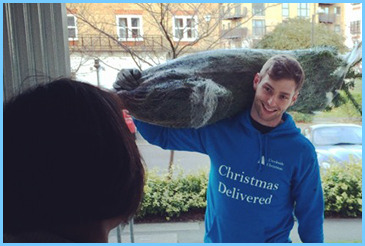 In order to offer the freshest of firs, online-only company Creekside Christmas collect their pines (both traditional Norway Spruces and non-drop Nordman Firs) from a farm every morning before delivery. 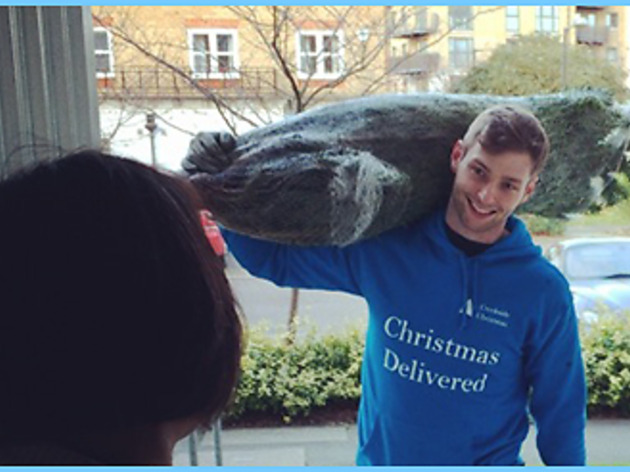 With an extensive delivery area across the capital, which includes central and postcodes N, NW, E, SE, SW, W, SM and CR, the Creekside team declare themselves as the "cheapest supplier of Christmas trees to your door in London", so if you're not up for lugging your tree across town, it's definitely worth checking out Creekside's pines this December. 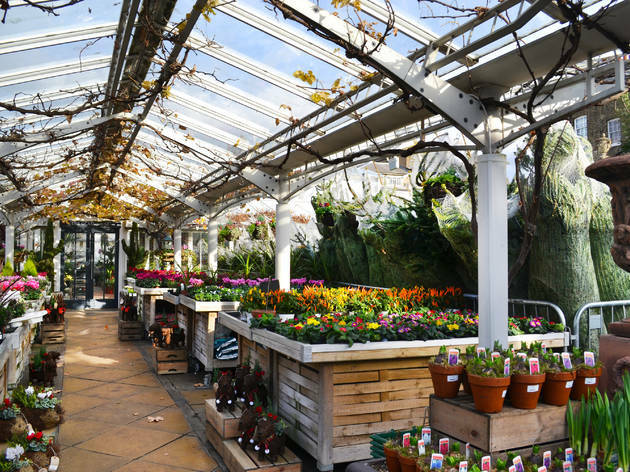 This social enterprise garden centre is staffed by a team of horticulturalists who are intent on improving the environment for those living in the East End. 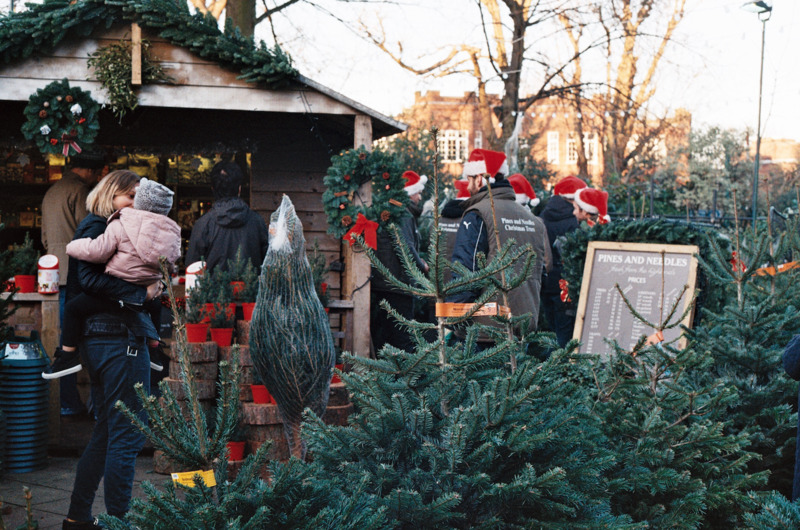 In the run-up to Christmas they’ll be selling sweet-smelling Nordman firs along with quirky decorations and bunches of holly and mistletoe. You might even catch a glimpse of the garden centre cat, Loren. Cosily ensconced in John Lewis’s pine-scented log cabin, it’s easy to forget that you’re mere moments from the throngs of Oxford Street. 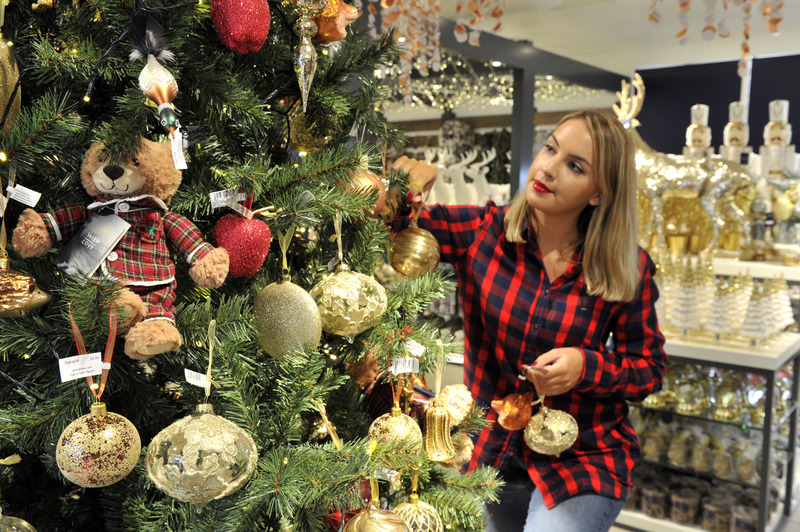 Discover two British-grown tree varieties mixed in with John Lewis’s faux designs. 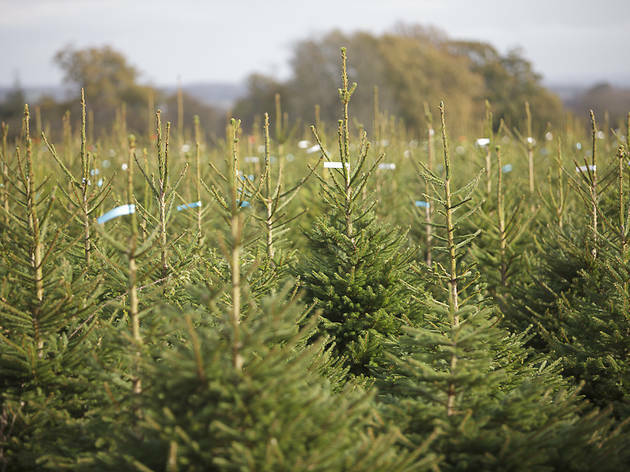 Will you go for Oxfordshire’s ‘Rocky Mountain Fir’? Or perhaps the (rather exotic sounding) ‘Korean Fir’, sourced from the (albeit less exotic) Scottish Borders. 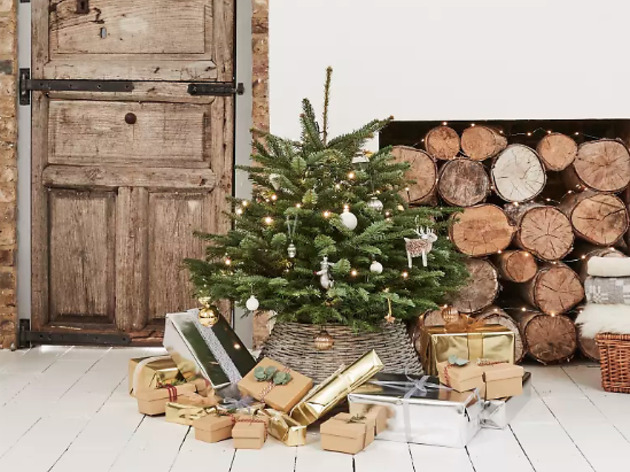 Buying one of King’s Scottish Nordmann Firs will do more than just add sparkle to your living room. 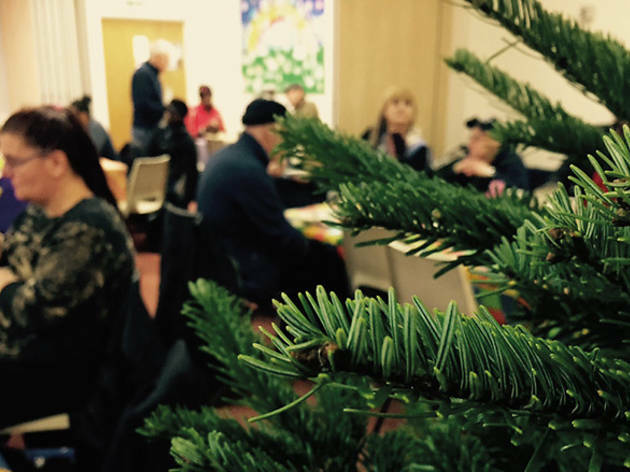 Set up in association with the Jericho Road Project, a homeless charity based in Catford, each tree bought will help rough sleepers and vulnerable people by providing hot meals at the project’s meetings. Pick up your evergreen from one of their store locations in Catford, Beckenham, Deptford and Dulwich, or order for local delivery. This wonderful nursery on the fringes of Wandsworth Common is one of the largest in the capital. 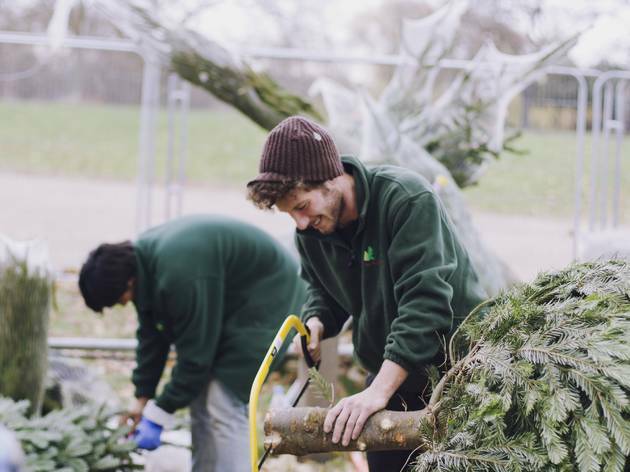 In preparation for Christmas, they’ve filled the centre with trees of all different sizes and types, festive wreaths and garlands, twinkling lights and glittering decorations. 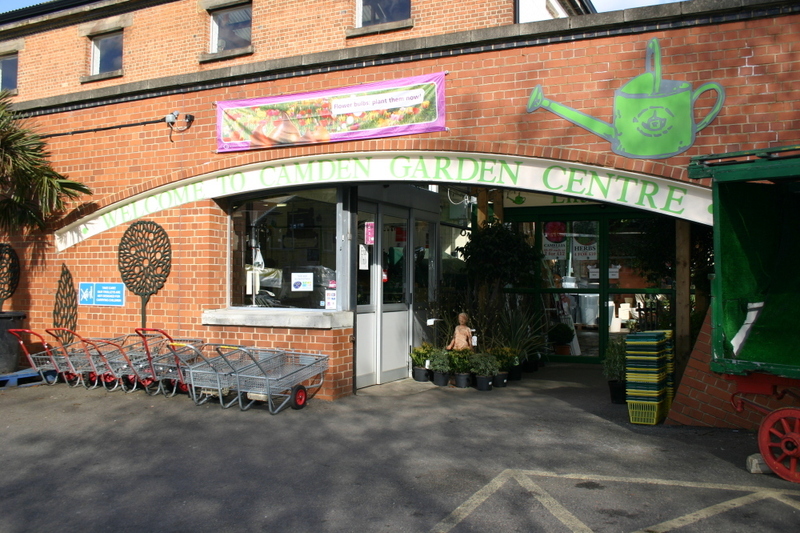 Since the 1990s this centre has grown from a small backyard independent to a boutique-style gardener's essential, winning a string of awards in the process. 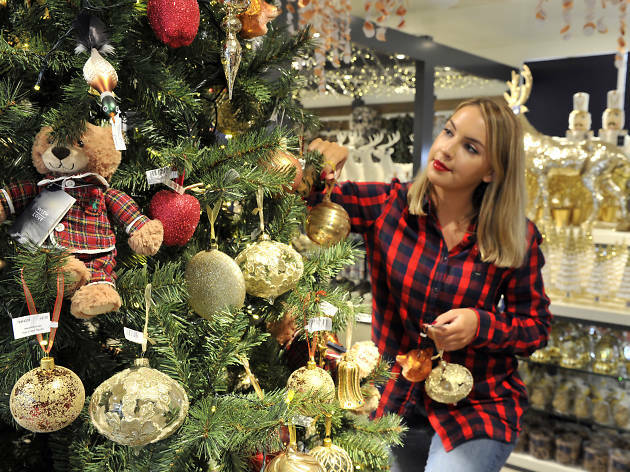 In the run up to the big day it opens a 'Christmas Emporium' where you can pick up trees, plants bursting with red berries, festive florals and charming decorations. 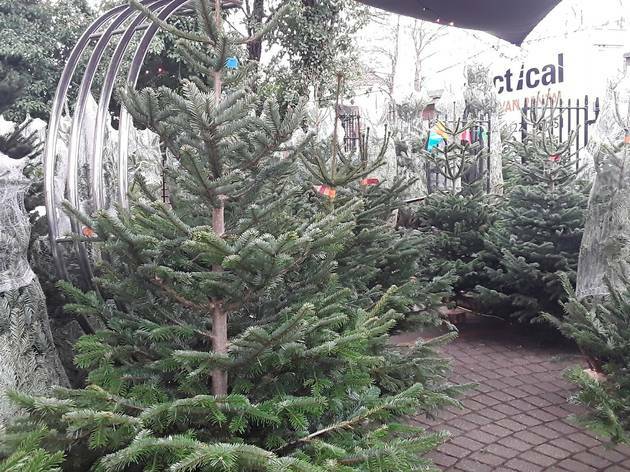 This cosy pitch on Wandsworth Bridge Road sells first grade, non-drop Nordmann Firs ranging from 2ft to 10ft tall. They offer a local delivery and installation service, but it’s worth making the journey to their Fulham HQ. Festooned with twinkling lights and dotted with friendly staff, it makes for a magical shopping experience. 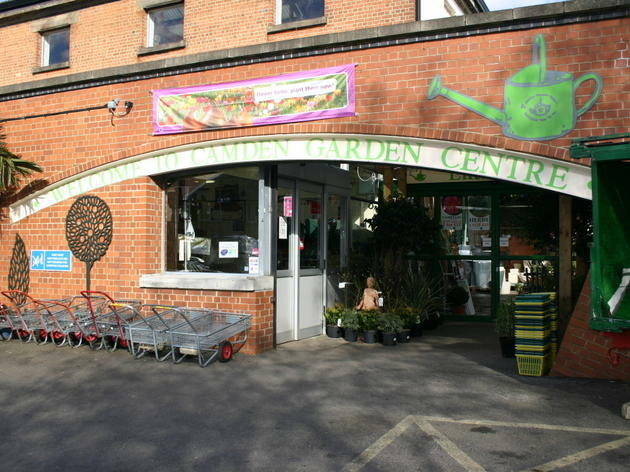 This large garden centre on leafy Bishop’s Avenue is a sparkling one-stop festive shop kitted out with crafty decorations and ornaments, gifts and trees galore. There’s even artificial foliage – for those whose track record with house plants isn’t great. 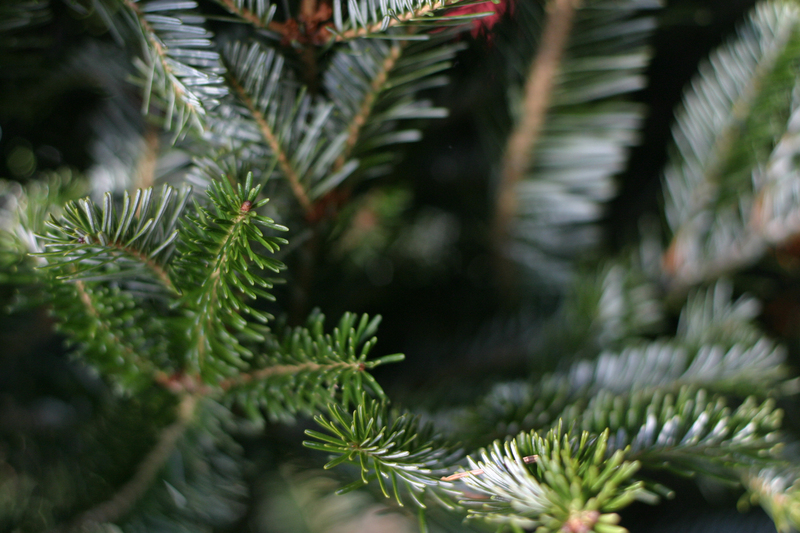 Anyone with greener fingers should nab one of the lush, hand-picked, fir-real evergreens. The online garden centre filling London’s homes and offices with lush houseplants of all shapes and sizes is upping its game for Christmas. 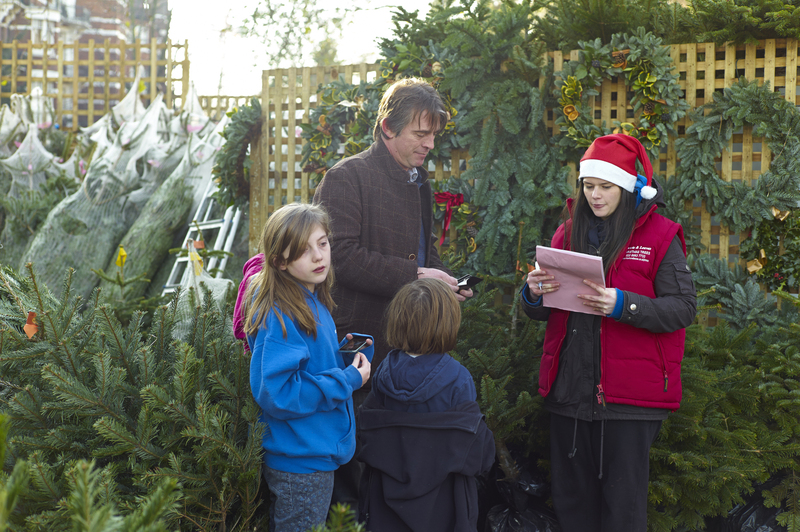 Pick between Nora (a Nordman fir), Fraser (a Fraser fir) or Priscilla (a mini potted tree) for free home delivery. 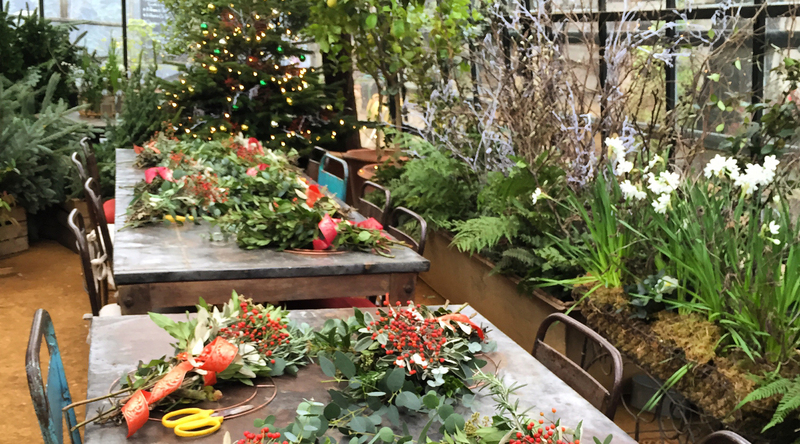 A truly joyous experience at any time of year, Petersham Nurseries is possibly most spectacular at Christmas. 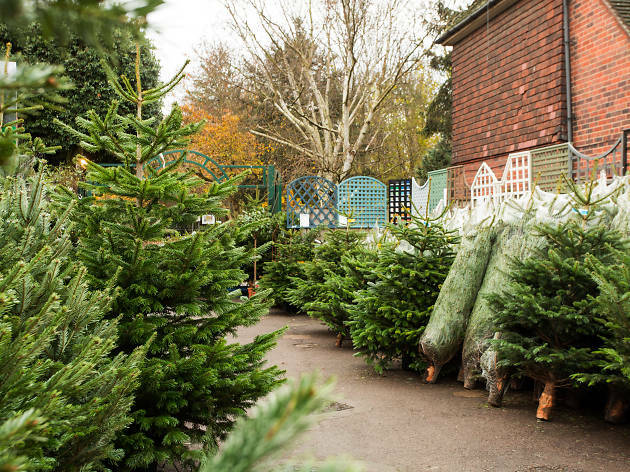 Visit the original Richmond branch to peruse British-grown trees in an assortment of shapes and sizes, alongside exquisite wreaths and imaginative decorations. No trip would be complete without dropping into the teahouse for a homemade mince pie and a hot toddy. This beautiful labyrinth of a nursery has sat quietly off Earl’s Court Road since the 19th Century. Every winter they stock a marvelously fragrant selection of top-notch Christmas trees, which are available to order, or can be bought on the day. 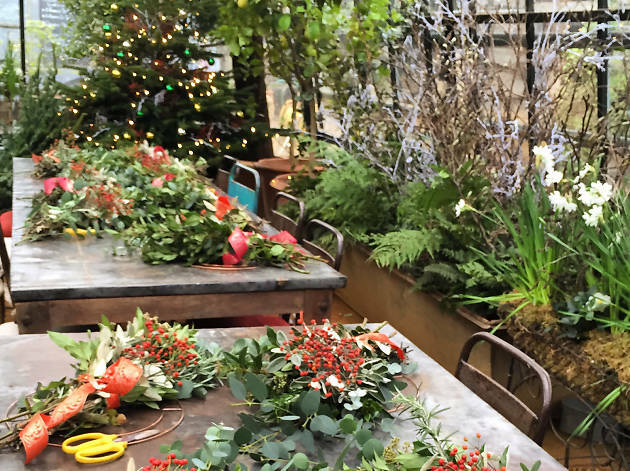 Their florist can also rustle up some gorgeous festive wreaths and garlands. Brothers Josh and Sam Lyle founded Pines and Needles as teenagers in 1995, flogging trees from a horse box on their Scottish family farm. 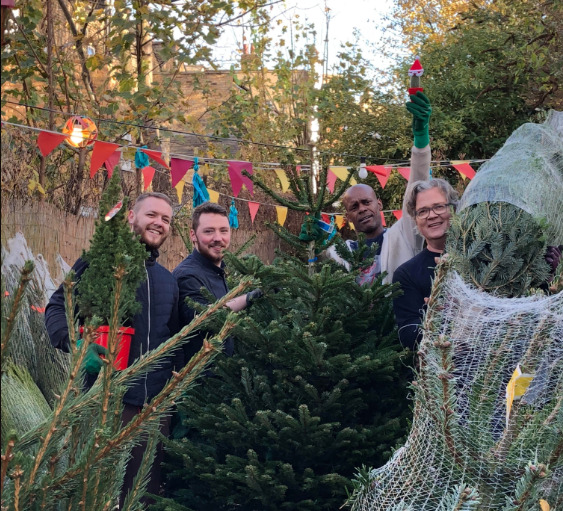 They’re now based in 26 locations in London (including Brick Lane, Brockwell Park, Victoria Park, Regents Park and Hampstead Heath) where kilted salesman will help you pick up various firs in sizes up to 9ft. 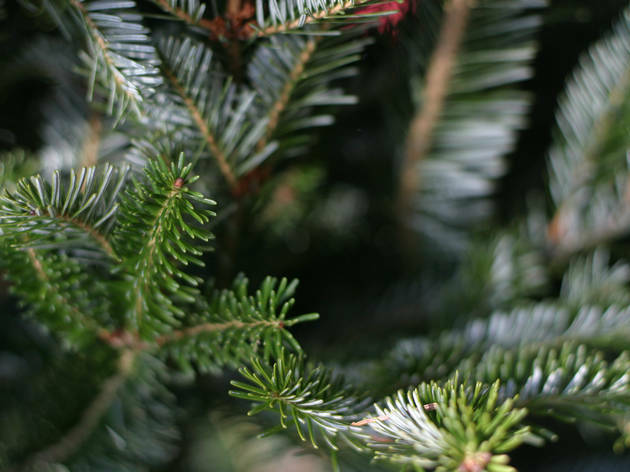 The folks at this landscaping company trawl around the country’s Christmas tree farms to pick out the perfect evergreens to sell. 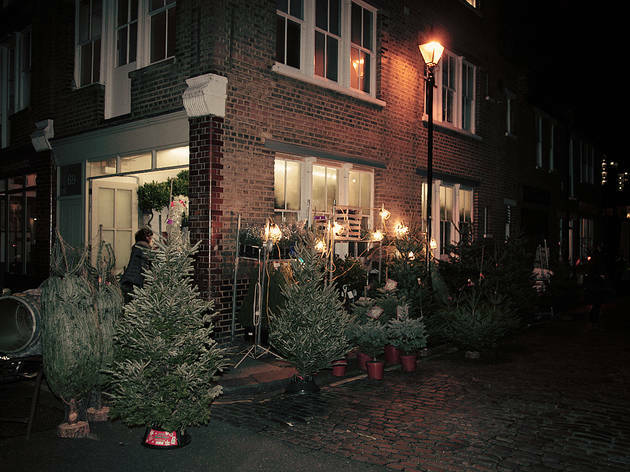 You can buy their fine firs, plus wreaths, lights, holly and bundles of spruce, at six collection points across west London. 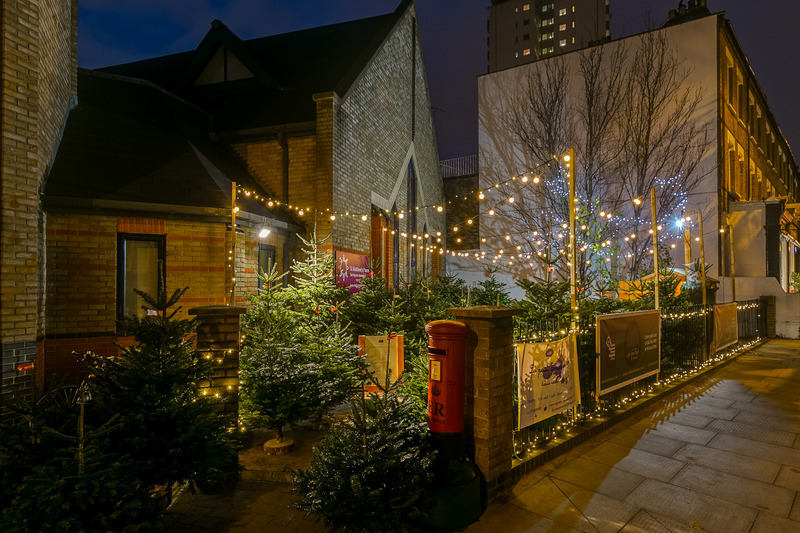 If you head over on a weekend you may also find carol singers, brass bands, mulled wine and mince pies. Looking for gift inspiration? Look no further than London's Christmas markets. 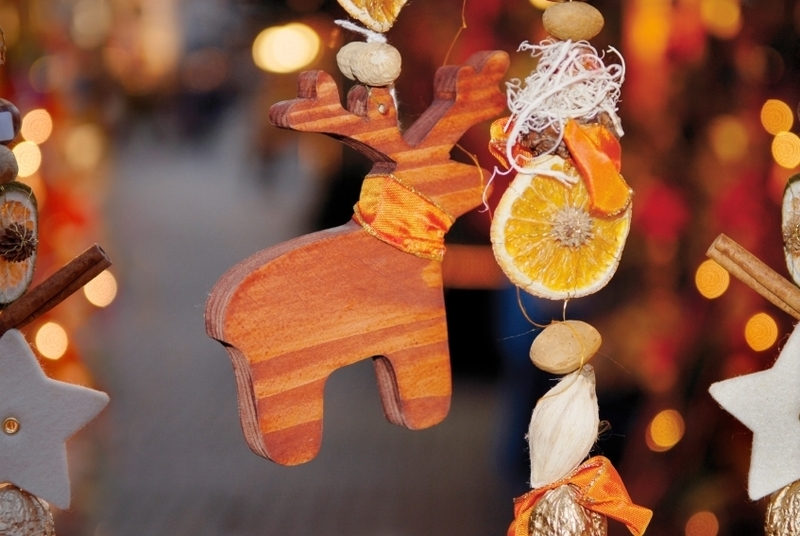 Among a raft of events you'll find foodie gifts, hand-crafted pressies and usually a bit of glühwein to help you get into that merry spirit.